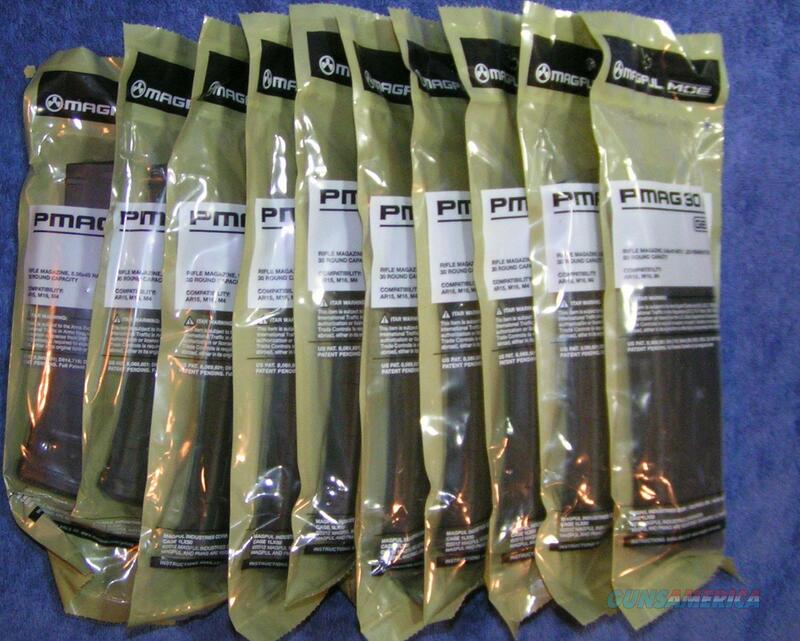 Description: Ten new in bag AR15 Pmags from Magpul. Holds 30 rounds of 5.56 / .223. Price is for 10 mags. These are not window mags. Second Generation. No dust covers. Impact Resistant Polymer Construction, Easy To Disassemble, Stainless Steel Spring, Anti-tilt self-lubricating follower. More might be available. Shipping is Free. I accept all credit cards, also cash, personal checks, company checks, money orders, cashier's checks, and bank checks. No credit card fee. Stock photos. I combine shipping. Florida residents add 7%. UPC 873750008264. Part # MAG571-BLK. Rich.